Walk into any grocery store, grab a few packaged products, and flip to the ingredients. You’ll likely spot added sugars — lots of them — provided you can discern their dizzying array of names: sucrose, dextrose, barley malt, agave nectar, high-fructose corn syrup, treacle, to list just a few. Why is our food saturated with all these sweeteners? When did they make their way into our yogurt, cereal, and oatmeal? How did they sneak into our salad dressing, soup, bread, lunch meat, pasta sauce and pretzels? UCSF (University of California, San Francisco) scientists are uncovering the answers to those questions. What they’re finding is that the food and beverage industry pushes sugary products, while obfuscating the significant health hazards of added sugars. They are scrutinising this influence, scouring the research to better understand sugars’ link to disease, and fighting biased science by exposing industry tactics and educating the public. When Dean Schillinger, MD, was a resident at San Francisco General Hospital in the early 1990s, almost half his patients had HIV or AIDS. Today, he’s chief of general internal medicine at the hospital, and a new crisis occupies him: nearly half his patients have type 2 diabetes. Many grapple with its horrific toll, including blindness, kidney failure, amputations, heart attacks, and strokes. Startling statistics bear out Schillinger’s experience: Since 1970, the incidence of diabetes has more than tripled (type 2 diabetes accounts for about 95 percent of that increase). In California alone, 11 percent of adults have diabetes and 46 percent are prediabetic. That adds up to over half the state’s population. Another troubling fact: People of colour and those at lower income levels are at higher risk of having type 2 diabetes and are getting it at younger and younger ages. Nearly one in four teens has prediabetes, placing them at very high risk of acquiring full-blown diabetes within 10 years, in the prime of their lives. About one in two children of colour born today will be diagnosed with type 2 diabetes during their lifetimes. It’s not the only disease that’s reared its ugly head in recent decades. Nonalcoholic fatty liver disease — a buildup of extra fat in liver cells, which can lead to cirrhosis, or scarring of liver tissue — wasn’t even a known diagnostic entity 30 years ago. Now almost one-third of US adults have it. The disease is on track to become the leading cause of liver transplantation within five years. And doctors are treating the first generation of kids with fatty livers. That “something” includes many societal shifts — such as sedentary lifestyles and larger portion sizes — as well as greatly increased consumption of added sugars, say Schillinger and others. Americans eat far more packaged foods and consume more sugary beverages than we did 50 years ago. And sweeteners are almost impossible to escape: They’re in three-fourths of packaged products. Liquid sugar, in the form of sodas, energy drinks, and sports drinks, represents 36 percent of the added sugar we consume. On average, Americans eat about 17 teaspoons of added sugars every day — substantially more than the US Dietary Guidelines’ recommended maximum of 12 teaspoons on a 2,000-calorie diet. That adds up to a whopping 57 pounds [26kg] a year. A growing body of scientific evidence now links long-term over-consumption of added sugars to diabetes, cavities, liver disease, and heart disease. One of the main culprits in MetS is fructose. Fructose is found naturally in fruits and honey, but in processed foods and sodas it’s been extracted from corn, beets, or sugarcane, stripped of fibre and nutrients, and concentrated. Nearly all added sugars, even healthy-sounding ones like organic cane sugar, contain significant fructose. Table sugar, for example, is 50 percent fructose. The most common type of high-fructose corn syrup, a concentrated, liquid form of added sugar, is about 55 percent fructose. In 2007, Cristin Kearns, DDS, MBA, began an unlikely journey that would shed light on some of the forces that helped push us to this brink. Her foray began years before she became an assistant professor at UCSF, at a dental conference on the connection between gum disease and diabetes. One of the keynote speakers gave his seal of approval to Lipton Brisk, a sugar-laden tea. Aghast, Kearns chased him down and asked how he could possibly call sweetened tea healthy. “There is no evidence linking sugar to chronic disease,” he calmly replied. What was going on? Kearns couldn’t let go of that question, so she went home and started researching sugar. Driven by a nagging hunch, she focused on the players behind the disconnect between her experience and what she heard from “experts.” Up popped the website of the Sugar Association, a trade group that dates back to 1943; its members include Domino Sugar, Imperial Sugar, and other sugar producers. She quit her job to dig into archives all across the country. 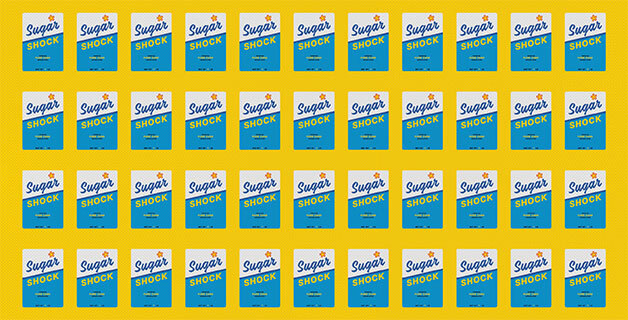 One day, she hit the mother lode: 1,500 internal Sugar Association documents related to a public relations campaign the industry had launched in 1976. The documents clearly showed the industry’s plan to influence the FDA’s regulatory review of the safety of sugar. “I couldn’t believe I’d found it,” she says. Kearns came to UCSF as a postdoctoral fellow in 2013 to learn how to analyse industry tactics, drawn by the faculty’s expertise combating the tobacco industry. In the 1990s, UCSF’s analysis of thousands of tobacco industry documents showed that tobacco companies had known about the grave dangers of smoking for decades, but they withheld that information from the public to protect their profits. One of her studies, published in JAMA Internal Medicine, showed that the Sugar Research Foundation, which later become the Sugar Association, recognised as early as 1954 that if Americans adopted low-fat diets, then per-capita consumption of sucrose would increase by more than one-third. By the mid-1960s, however, researchers had begun wondering whether sugar might be related to heart disease. The Sugar Research Foundation paid three Harvard scientists today’s equivalent of $50,000 to review the existing research on sugar, fat, and heart disease. Their analysis, published in the prestigious New England Journal of Medicine (NEJM), minimised the link between sugar and heart health and promoted fat as the culprit instead. “It was clearly a biased evaluation,” says Kearns, who spent a year analysing the communications between the industry and the researchers, as well as the studies included in the review. “The literature review helped shape not only public opinion on what causes heart problems but also the scientific community’s view of how to evaluate dietary risk factors for heart disease,” she says. These tactics contributed to the low-fat craze, which began in the early 1970s and paralleled a rise in obesity, according to Kearns and Schmidt. Many health experts encouraged Americans to reduce their fat intake, which led people to eat foods low in fat but loaded with sugar (think SnackWell’s cookies). The trend is an example of “how industry has deeply penetrated science in order to distort the facts about what’s good for our health,” says Schmidt, a co-author of the JAMA paper. Another of Kearns’s studies, published in PLOS Biology, showed that the industry also withheld critical scientific evidence….